Who's going to drive me to NEAF to pick it up? How much he want? Where is it located? And to think I only paid $35.00 for this one. I didn't have a clue it was worth that much. That sure is SWEET ! He wants $495 and looks like he wants you to pick it up in Suffern NY where NEAF is. That mount looks like a beefier version of the Tasco 7TE-5 which I thought was a better mount design than the 10TE. Has anyone used that Mayflower mount before ? Hmmm...$500. A little high, maybe, but probably do-able to the right person. It sure looks clean. The literature is usually what is missing with these older scopes, and this one has it all it looks like. I'd rather have the literature than the EPs anyway. I thought price was a bit high as well, but if the optics are razor sharp, then consider what a comparable 3" long-focus achro of similar quality would cost today. Just goes to show the variability of the market - $35 to $495 dollars. One is definitely the better deal, but the market has room for both. I bet he sells it for the asking price or close to it. PS - I agree about the manuals. I'd rather have the manuals and inserts than 3 obsolete ramsdens and huygens I would never use and just keep around to say the kit is complete. with the motor drive. I don't think that even sold for this much if I remember correctly. Me too. 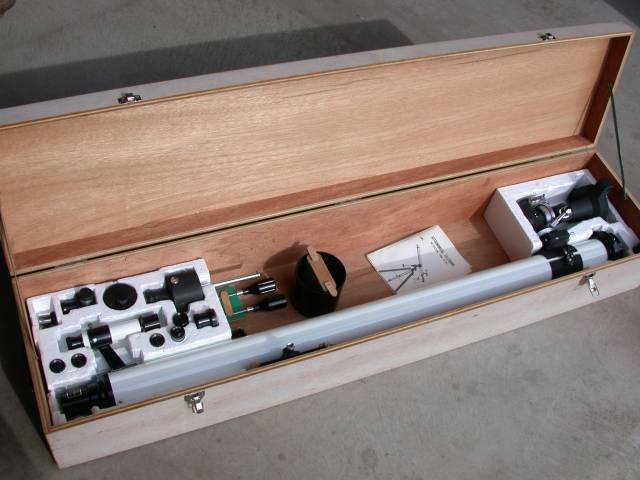 I think it's a fair price also, scope looks mint and complete to include documentation. It sure is an eye catching scope. 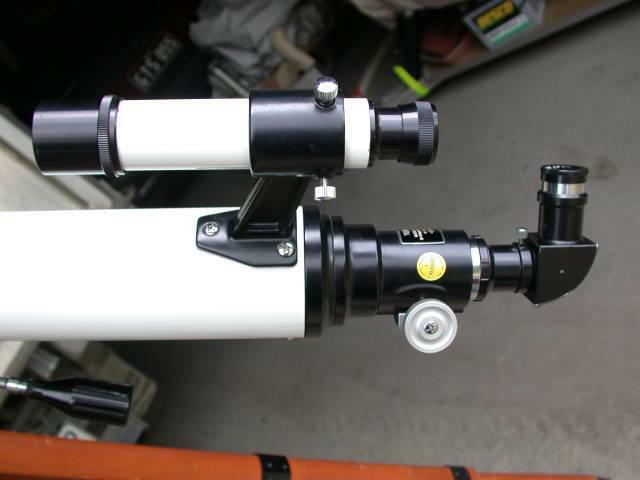 These were very good scopes and this one appears to be in very good condition. Probably worth the asking price. I wasn't knocking the sellers price whatsoever (not that anyone said I did either) ... I am just amazed at what I got mine for. I see on the focuser, that this particular Mayflower has the "SYW in a diamond" trademark. The whole package looks virtually identical to my black and white 76mm f1400 SYW. and set up. 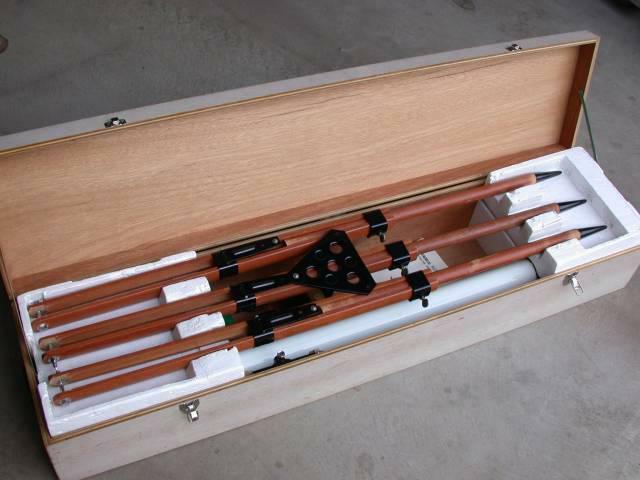 The SYW telescopes I have used have been superb performers. Um...that's a 3"er? The only f18 to f20 scopes I've seen before were 2.4"ers from Royal Optical. Is that a Royal? Its very rare in any case. Especially in the great condition yours is in. No, its not marked Royal, but does have the trademark of a diamond with the letters SYW inside the diamond. 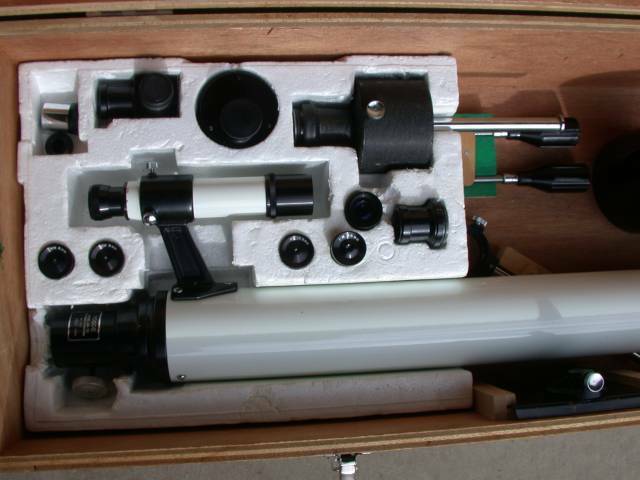 I bought the telescope from the wife of the original owner, who passed away many years ago. 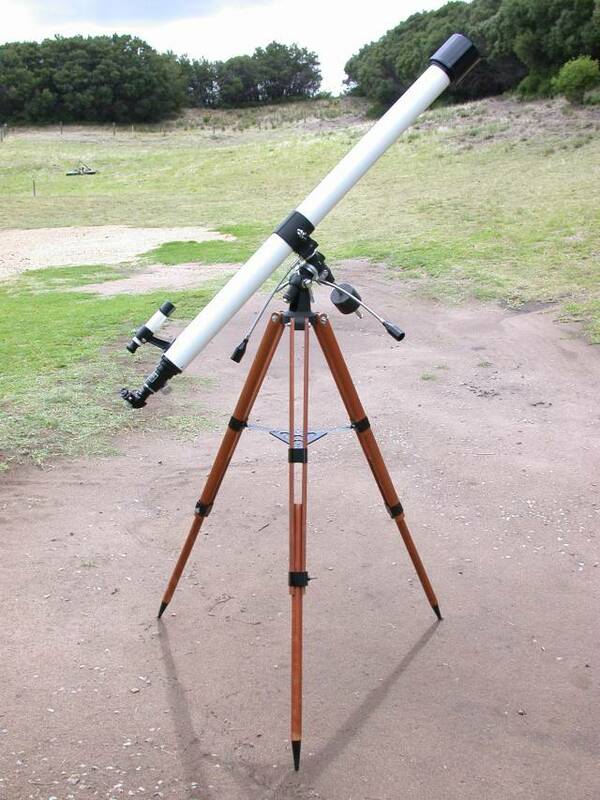 He purchased the telescope around 1970. Yes, its 3" f18.4, and looks like a long drinking straw Gives magnificent views for a 3" achromat. The original eyepieces are great in this scope and you can readily use 1 1/4" modern widefield types via an adapter in the drawtube. That has to be one of the nicest ones I have seen!